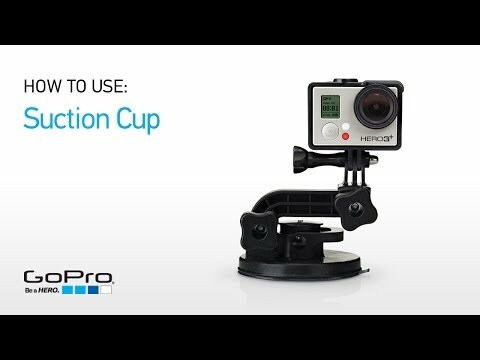 Attach a GoPro camera to a bike, car, boat or other motorized craft, and make a time lapse movie of road trip or bike race. The standard, quick release base lets you change up the shot easily, and adjustable arms keep the setup compact. Industrial-strength suction holds firm and stable at speeds of over 240 km/hour. Quick release base makes it easy to move between shots and locations. Mounts to rigid, clean, dry, non-textured surfaces. Recommended for low-impact activities. Not ideal for surfing, snowboarding or high-impact sports. Compatible with all GoPro HERO cameras.